- There are many individual stand out features to talk about, but perhaps the overruling comment is the general high-quality. Whether it’s the spool, ball bearings or gears, everything Shimano seem to do exudes the very best in quality. It seems to have the right balance between quality and price. - Perhaps a word of caution if you change over the spools to ensure they sit on the guides perfectly, otherwise you might notice the reel locks. This isn’t a game-changer though since it’s likely a feature of many reels and not just unique to the Ultegra range, nor Shimano’s reels in general. 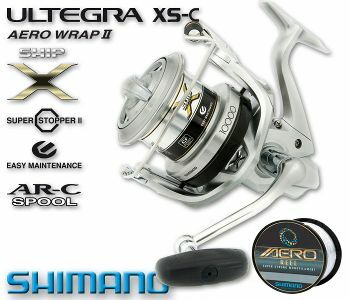 The Ultegra 1000 XSC from Shimano is just one reel in the surf fishing reel range, boasting a whole host of high-quality features to improve your fishing experience. Made for distance fishing, the reel isn’t waterproof despite its solid design but is most definitely built for surf casting from the shore. Sounds like you’d be paying a small fortune for the reel with all that booming technology thrown in doesn’t it? Well, actually, you’ll be surprised! 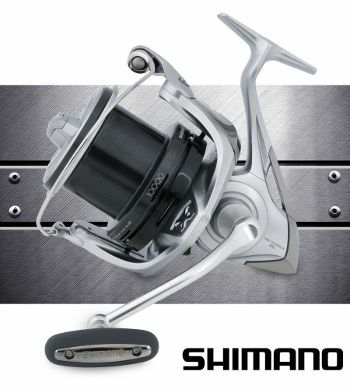 Shimano are a well-versed and renowned brand in many markets, not just fishing and with that they can command an affordable pricing model which is clearly reflected with the Ultegra range, whether it’s the larger 10000 and 14000 models or the more compact 4500 and 5500 models. You’ve likely seen people stood by the edge of the sea with their fishing rods and wondered what they’re doing. Or, you’re a seasonal surf fisher and are looking at upgrading or switching out your surf fishing reel. Either way, you need to have the equipment to ensure your bait / lure is as far out into the sea as possible and perhaps not sticking to just one piece of equipment; having interchangeable reels and rods of differing sizes is likely necessary for differing environments and situations. So, taking a detailed look into surf fishing reels is highly advisable and the Ultegra 10000 XSC is certainly one of the most reliable and best. If you’re looking at beach fishing for the first time, you don’t need to necessarily go all-out and grab the most expensive rod, reel or other equipment out there. All-round beachcasters will do the job just fine but it’s important that you’re happy with the quality of the rod and all it entails – for example, since there’s only a low chance of snagging and you need distance, perhaps a 15lb line is ideal. Obviously if you’re looking at fishing off cliffs rather than a beach, then snagging is more of a possibility so make sure you do your research on the fishing locations. 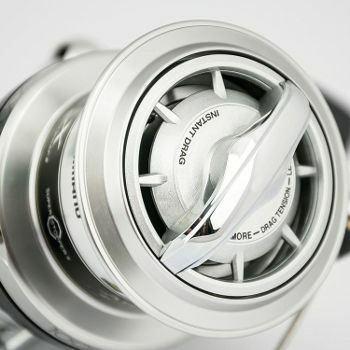 Let’s focus on the spool for a bit since it plays an integral part of any fishing rod – if you’re a novice then perhaps a spinning reel is your best bet and if you’re a more advanced angler, a more conventional baitcaster is your sort – it does all depend on personal preference too though. The AR-C in the Shimano has a patented lip, severely minimising friction, allowing for increased distance and accuracy on casting, so whether you are that novice or seasoned angler, the Shimano’s quality spool will come up trumps. As mentioned above, the 10000 XSC is loaded with Shimano’s Instant Drag technology – essentially this means using a simple lever to quickly jump from using the spool to fighting the drag on the line, fitting the umbrella of a lever drag system. Alternatively you could look at a star drag system, which changes the pressure level by turning a wheel in the shape of a star. In generally, it seems to be considered that lever systems provide that smoother fishing experience. This reel has a ratio of 4.3:1, considering it a high-speed retrieve reel with every turn of the handle, the spool turns over 4.3 times. You’re lacking some cranking power with a higher ratio reel, but if you need to bring the line in quickly then look for this higher ratio. There are some reels out there which offer two speeds, allowing you to switch between gears very quickly, but you’re looking at a heftier price tag. Essentially this is a system that controls the distribution of the line on the spool as you wind the line back in. Many consider this a convenient feature to have so perhaps is more aligned to novices. With this Shimano model, the Power Roller technology ensures any twisting during retrieve is eliminated – although Shimano is well-known for their superior quality technology, it’s worth considering that the more technology you have on your spool, the greater the chance of malfunction and obviously cost! Hopefully, you have more of an idea around the Shimano Ultegra 10000 XSC and all it has to offer, with its fully-packed technology, high-quality components, smooth casting, high-speed gear ratio and many other features. For sure, it’s easy to become overwhelmed with how much this surf fishing reel has to offer, but be rest assured that you’re buying an extremely solid and tried and tested reel from one of the market leaders in the industry.